The oneoak blog is part of the SYLVA Foundation blog which contains news about the organisation and all our initiatives. 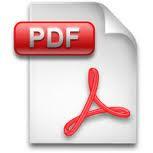 Subscribe here to receive news from the blog every week in your email. 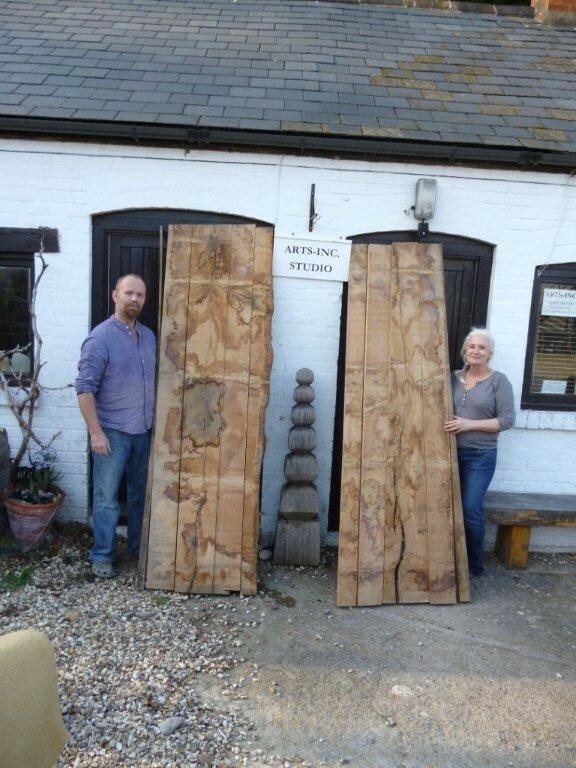 Richard Fox and Jen Newman-Fox have started work on their pieces of the OneOak. The main section of the oak will be used by Richard to make a sculpture. In this case the work is based on the Trefoil knot shape with a Möbius (moebius) strip or twist (read the Wikipedia explanation). 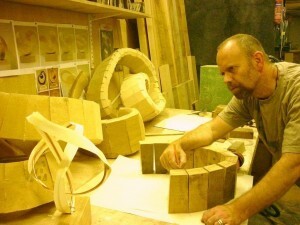 To develop the sculpture first a maquette (scale model) of the sculpture is made, followed by a drawing, and at this point the angles and sizes of the individual pieces are worked out. 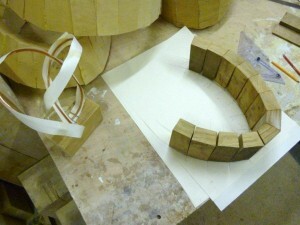 Richard is also working on another four simpler wave shape sculptures which are smaller in size. 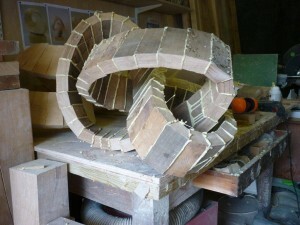 Here are some photos of the making of the moebius sculpture so far. Jen is using the off-cuts from the sculptures to make OneOak jewellery, some of which will have precious metal clay silver inlaid into them. A unique project following the full life story of a single oak tree reaches a finale this week, with the first of a series of manor exhibitions at Art in Action, where all the items made from the tree are being brought together for the first time. The products range from the waste sawdust used by legendary chef Raymond Blanc to smoke salmon, to a throne chair worth £6000, and dozens of other items including charcoal, wood block prints, tables, benches, door, house, boat, and woodchip for bioenergy. The OneOak project is an environmental project of the Sylva Foundation, following the full life story of one oak tree. The aim of the project is to bring people closer to the importance of our woodlands and of wood in modern society. The 222 year old OneOak tree was felled on the Blenheim Estate in January 2010, witnessed by 250 school children. It had been grown in a plantation for its timber, having been planted in 1788; the same year that The Times was first published and when the French Revolution was just beginning to stir. The OneOak tree is now the most studied oak tree in Britain: it has been weighed, measured with lasers to create a 3D model, studied by a dendrochronologist, and had its carbon content estimated. It has been featured by dozens of artists, sculptors and photographers. 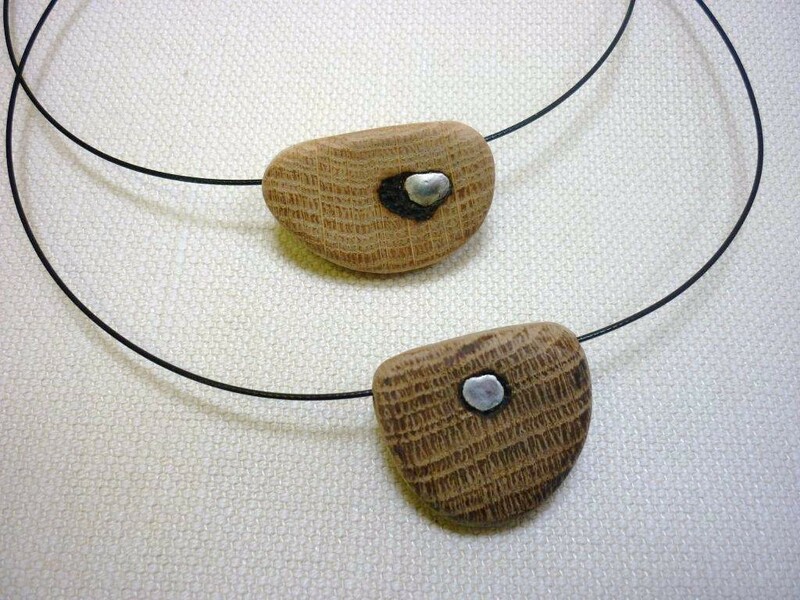 Many of Britain’s leading designer-makers have made items using the wood of the OneOak tree. These total over 40 different products, and counting. The 250 children who witnessed the felling each planted a young oak tree in January 2011, one year after the tree was felled, to fulfil the cycle in sustainable forest management. The first exhibition is at Art in Action, followed by six weeks at Blenheim Palace, then six weeks at Royal Botanic Garden Edinburgh. 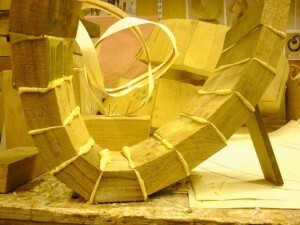 The following have been made to date: firewood, woodchip (to heat a house for 6 weeks), sawdust for smoking food by Raymond Blanc, charcoal, bracing beams for a house, transom beam in a boat rowed in the Queen’s Diamond Jubilee Flotilla, door and frame, chest, pedestal table, coffee table, throne chair, clock, lantern, moebius sculpture, jewellery, acorn oakbot sculpture from waste slabwood, memorial sculpture, carved bowls, carved spoons, turned bowls, carvings, automata, commemorative garden bench by disabled workers, five benches for primary schools including the spider bench, contemplation bench, MakeIT! bench national school design competition, nesting tables, fine furniture competition winners pieces, small craft items, deer, viola chin rest, printing blocks, relief carving, sounding bowl. Over the last two and a half years, ever since the OneOak tree was felled in January 2010, we have been endeavoring to make as many and as varied items as possible from the tree to demonstrate how important trees and wood are to us in modern life. Now that the first of our finale exhibitions is about to open (Art in Action July 19-22), we can list for the first time the number and variety of items made from the OneOak tree. We will update this list in the future and include information on some of the items that so far have not been featured in the OneOak blog. Copyright © 2009-19 Sylva Foundation. All rights reserved.